SABATON - CAROLUS REX PLATINIUM EDIT. SILVER VINYL (2LP) | Online Shop | Wizard LTD. Album: "CAROLUS REX PLATINIUM EDIT. 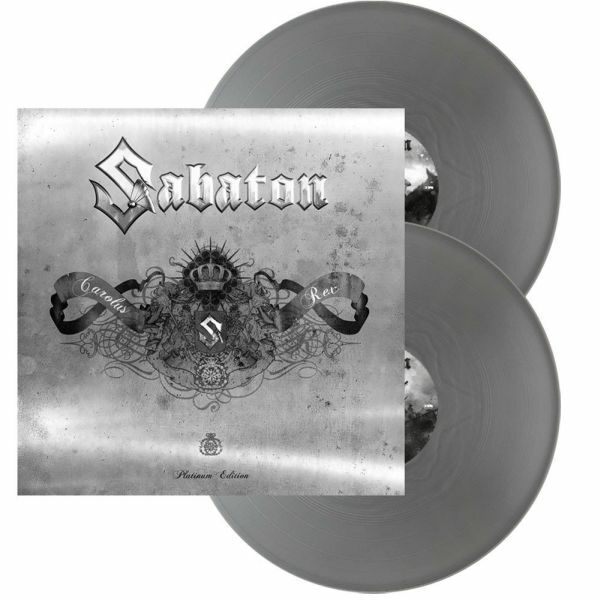 SILVER VINYL (2LP)"
SABATON are excited to reveal that 2012&apos;s »Carolus Rex« has reached quadruple platinum status in their home country Sweden. The concept album - which is the band&apos;s biggest success to date - charts the rise and fall of the Swedish Empire, in particular the life of Charles XII ("Carolus Rex") who ruled it for 21 years. In an amazing coincidence, the album&apos;s quadruple platinum certification comes exactly 300 years after the king&apos;s death in 1718! The band will be presented with their quadruple platinum disc later this year, when »Carolus Rex« will take its place as one of Sweden&apos;s most successful home-grown rock albums. To celebrate the album&apos;s success, and to commemorate the Swedish king who inspired it, SABATON will release a special 300th year anniversary edition of »Carolus Rex« on November 30th, 2018, which is the date Carolus Rex was killed in Norway.